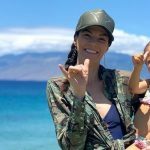 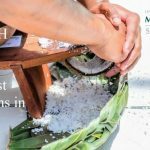 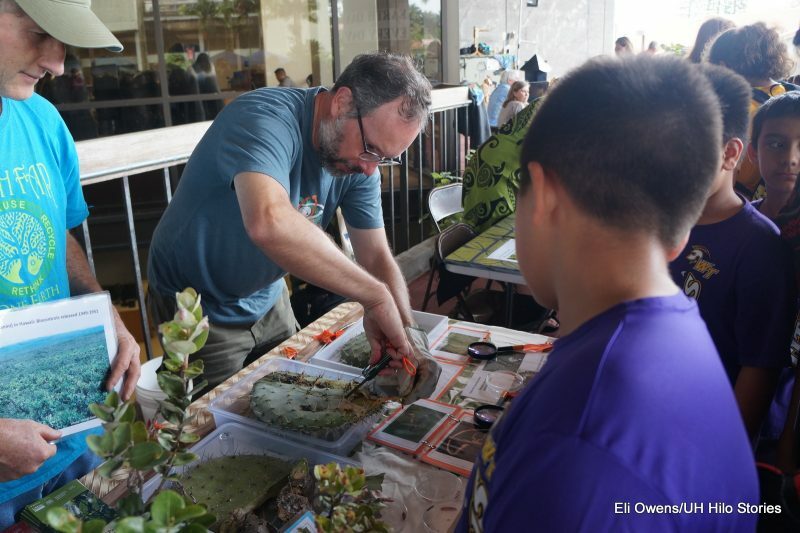 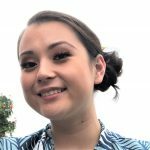 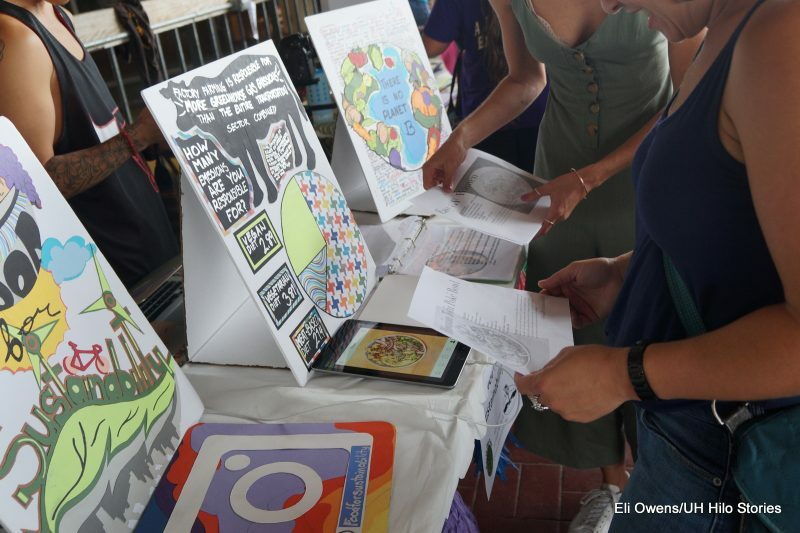 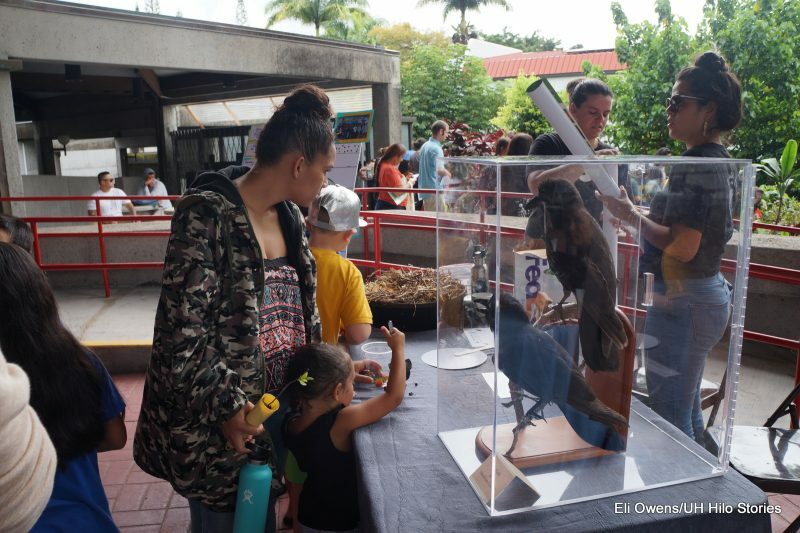 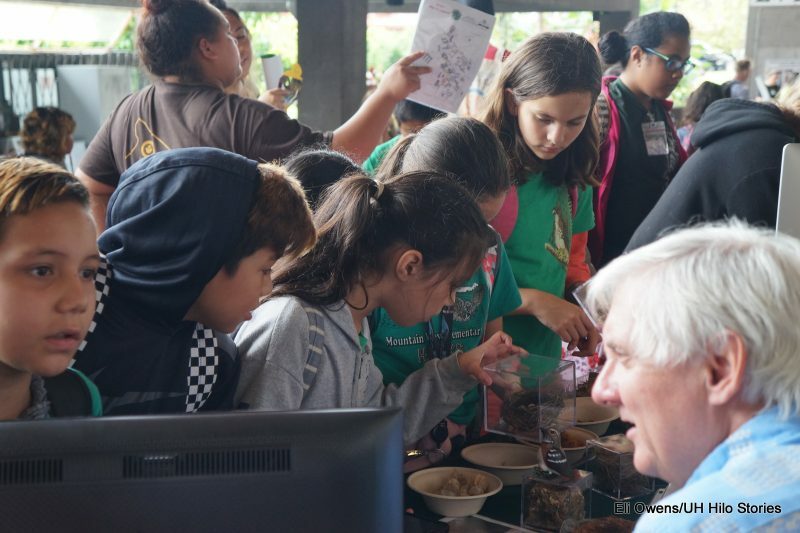 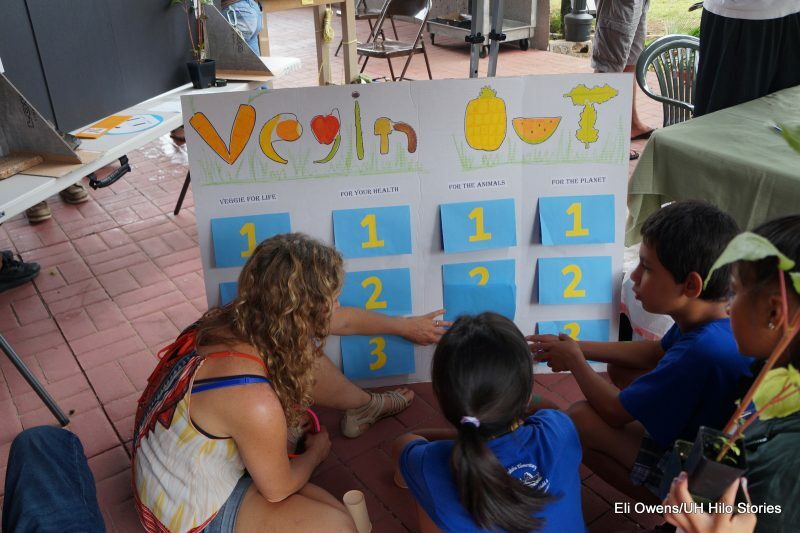 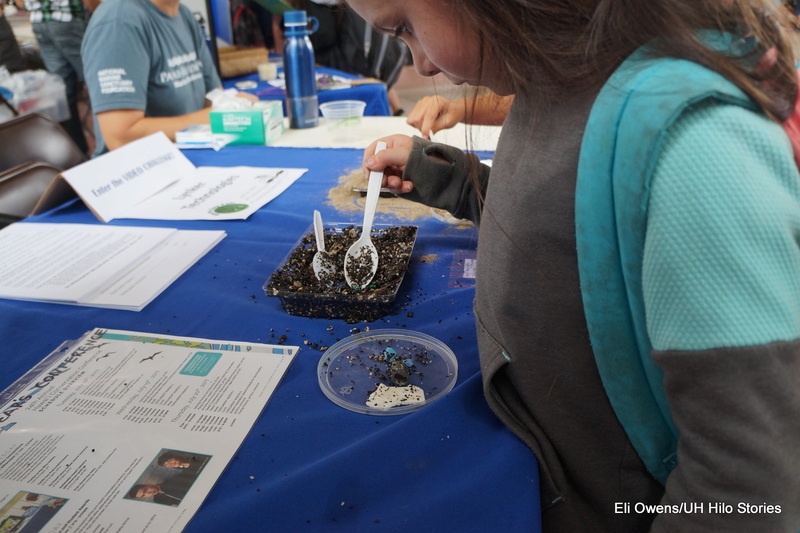 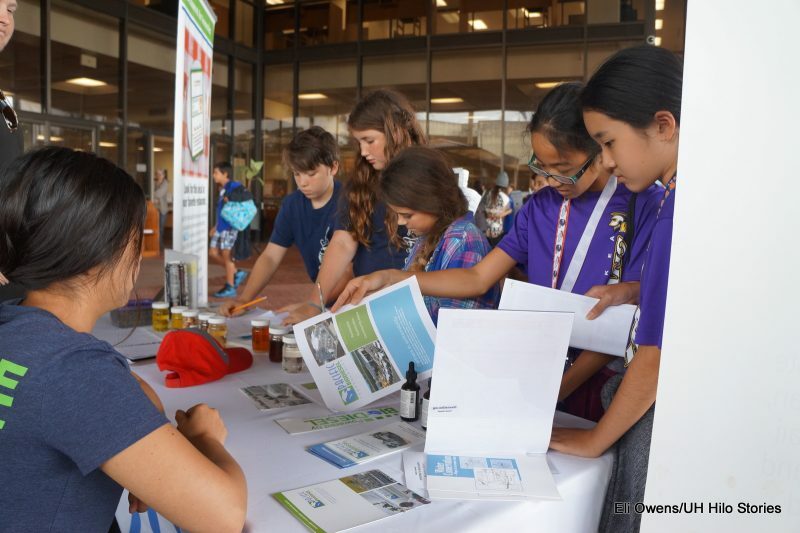 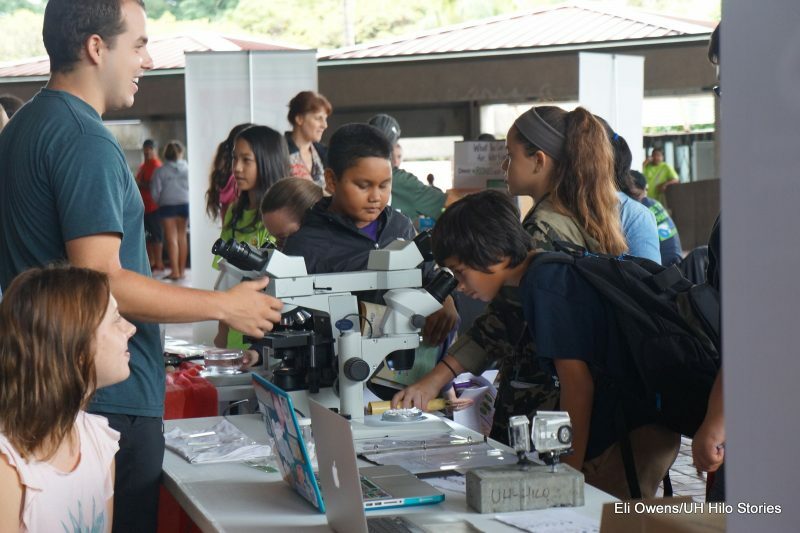 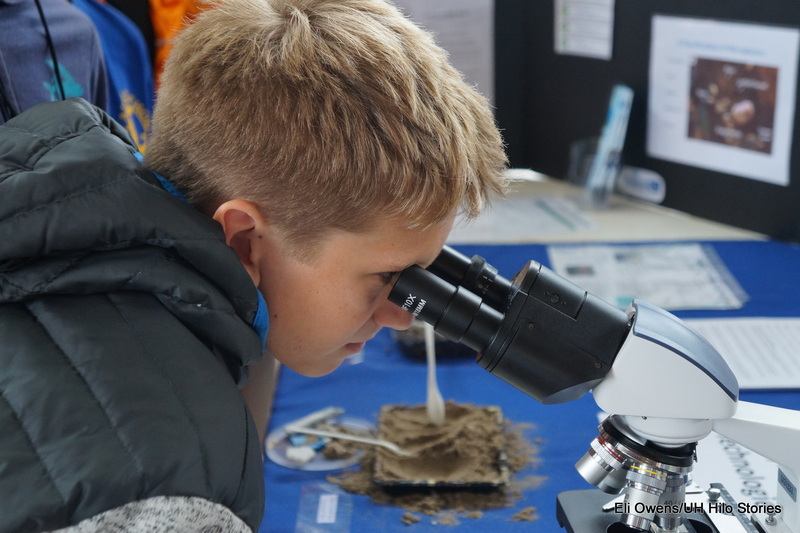 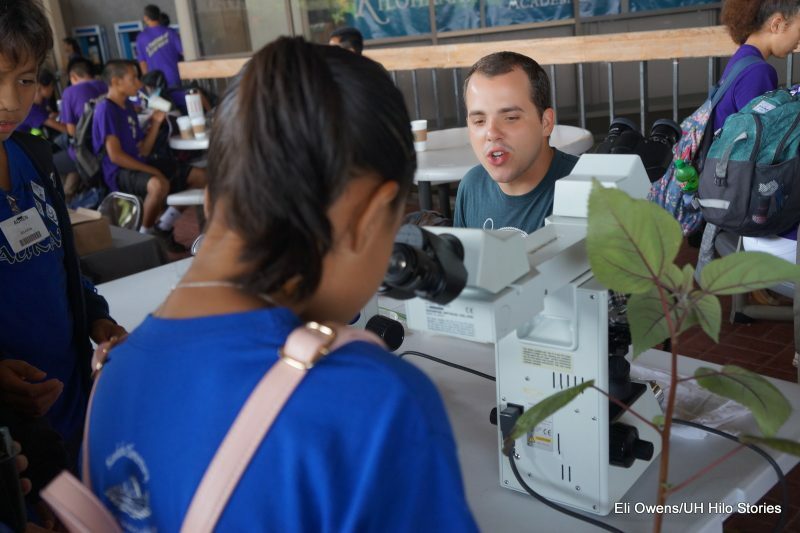 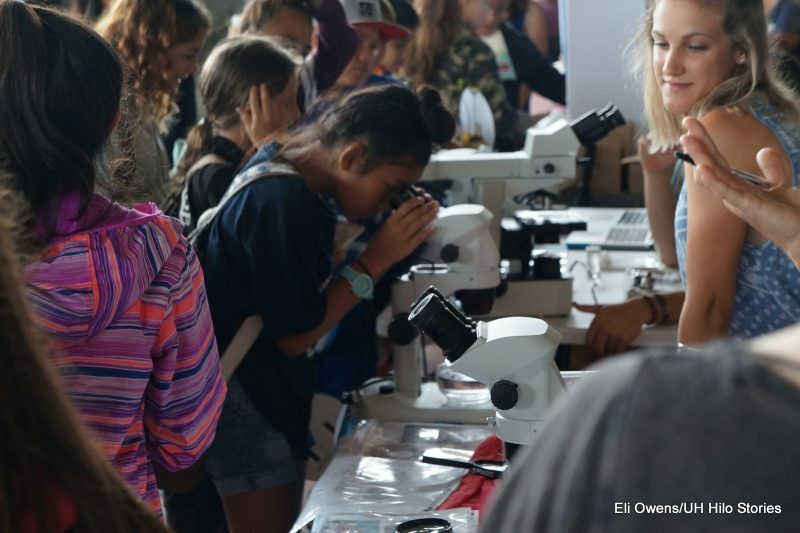 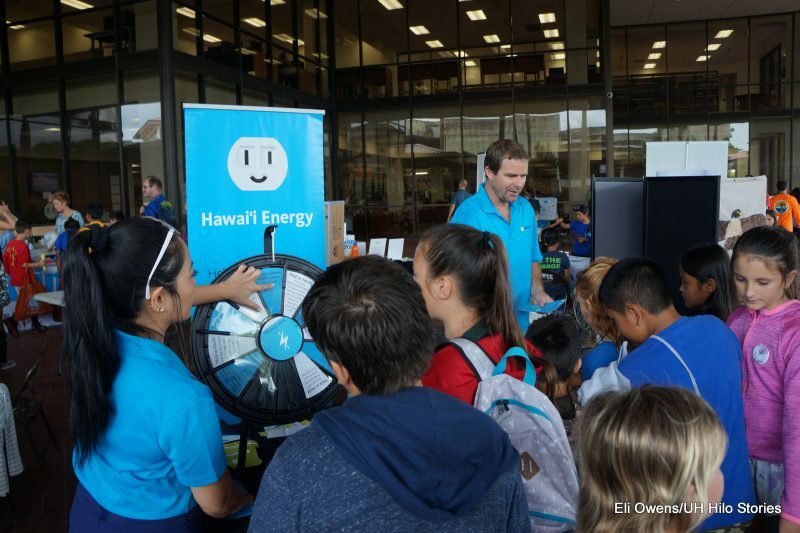 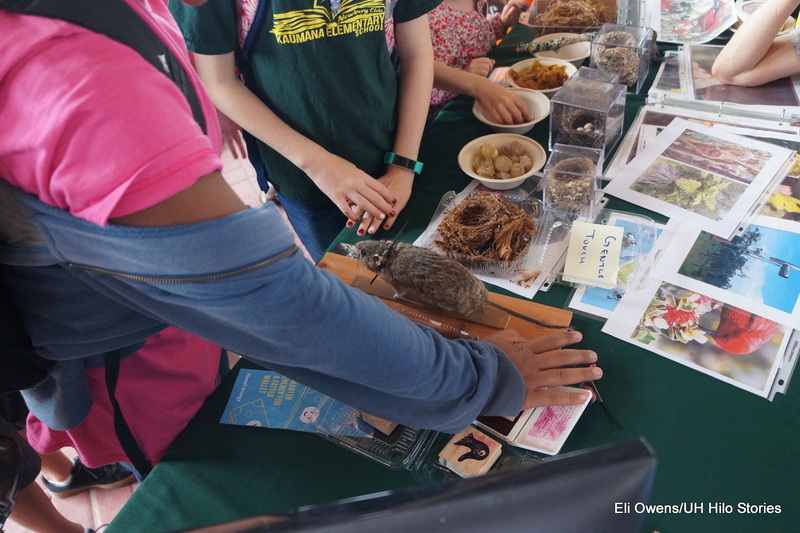 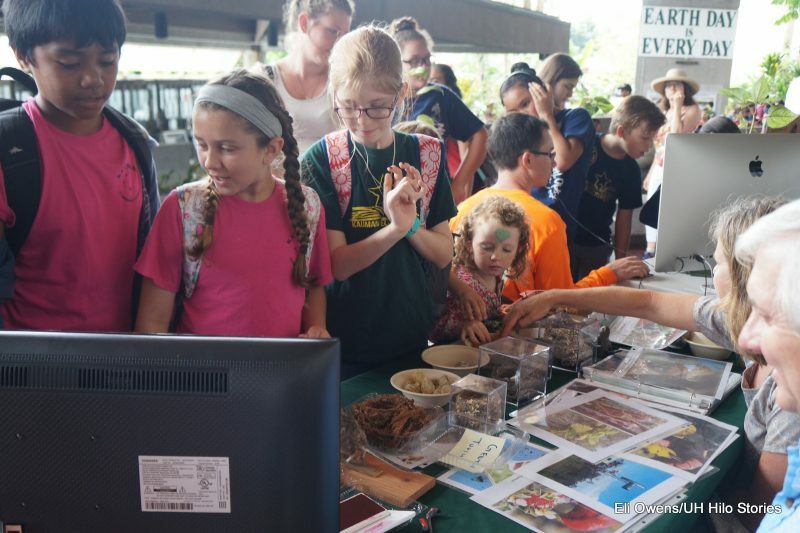 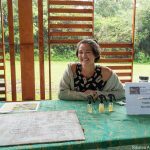 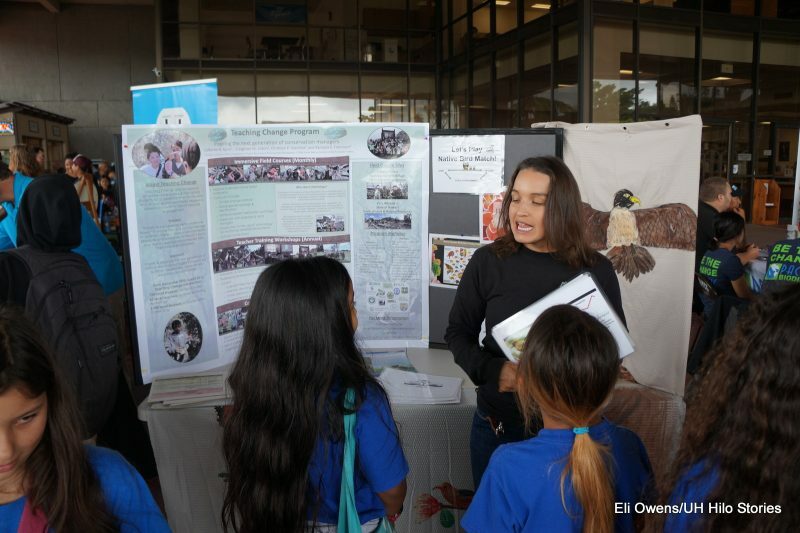 The event was chock-full of fun interactive displays about conservation and preservation activity on Hawai‘i island and showcased local employment opportunities. 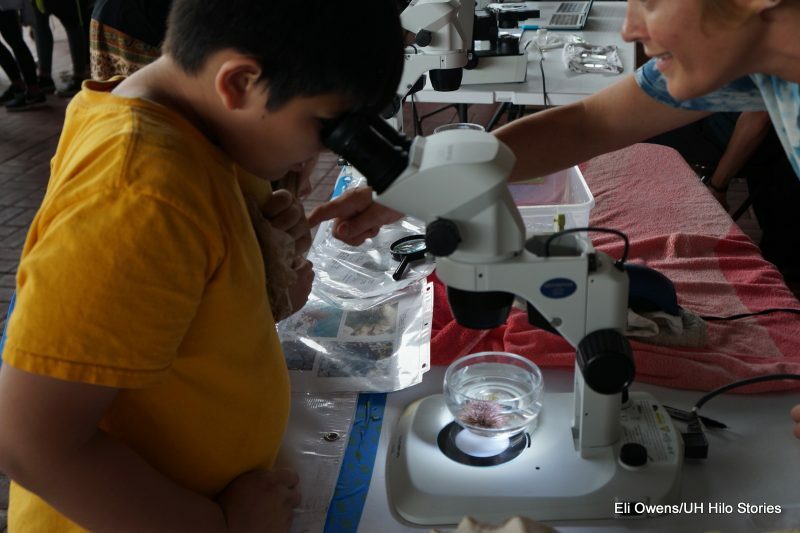 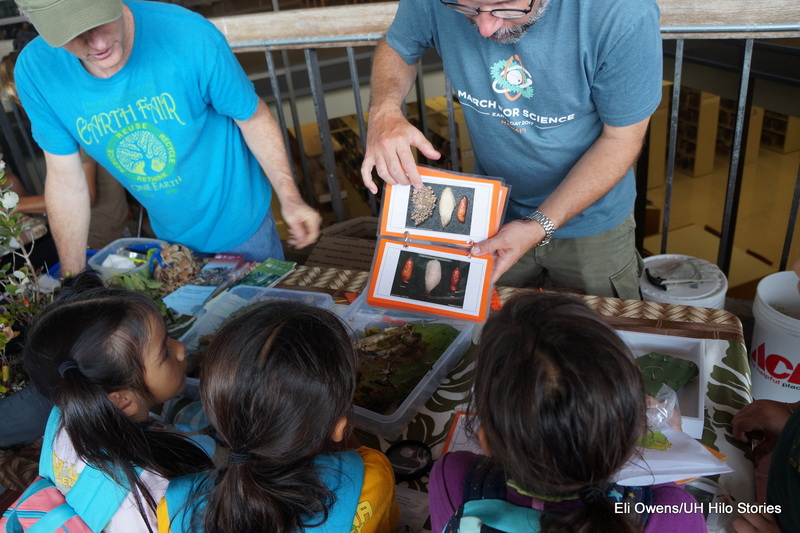 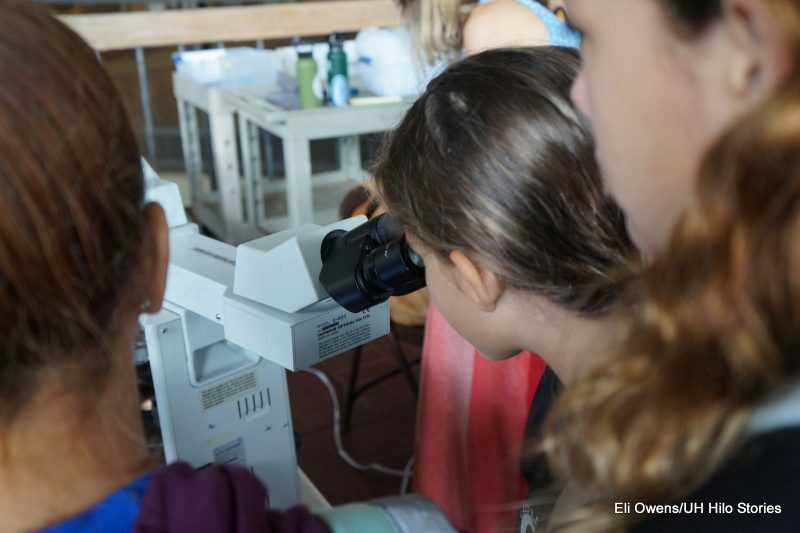 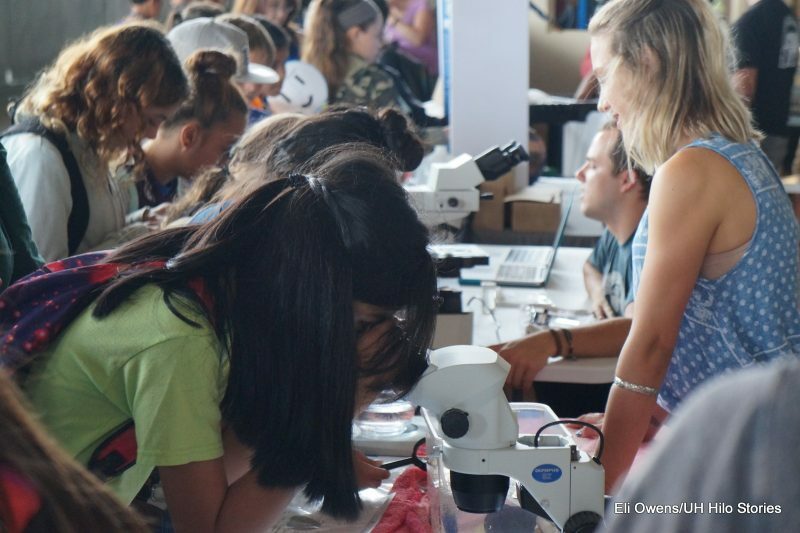 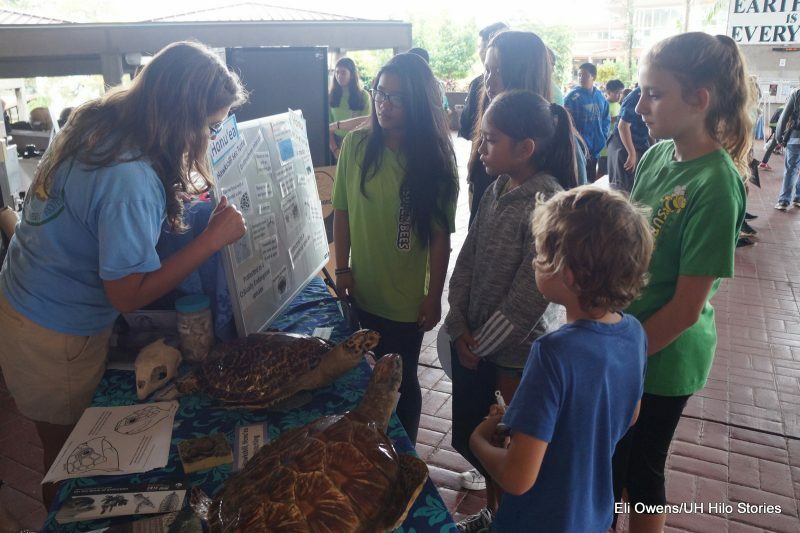 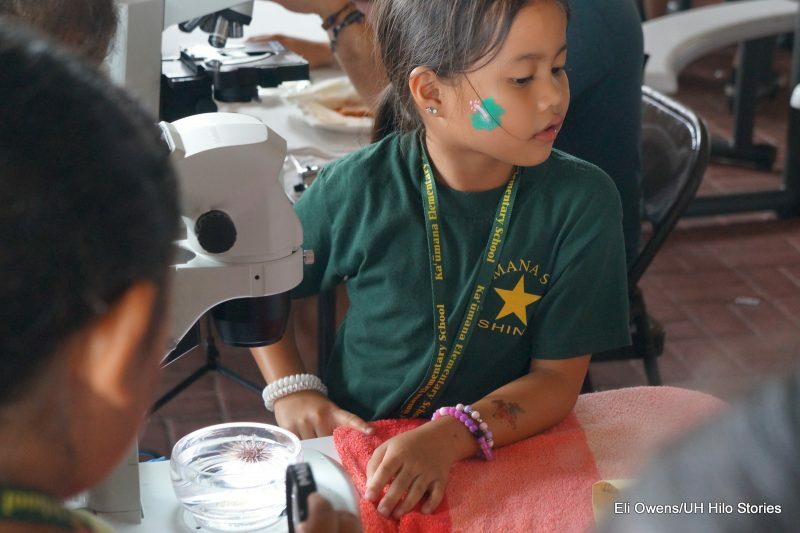 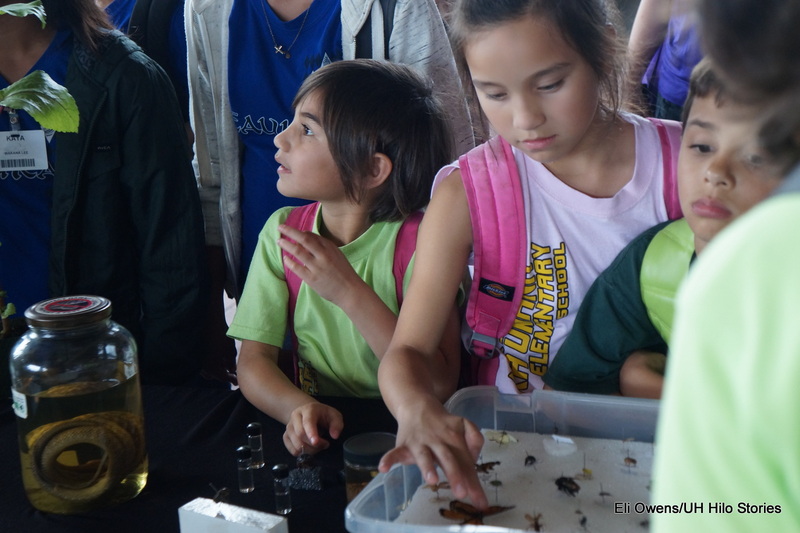 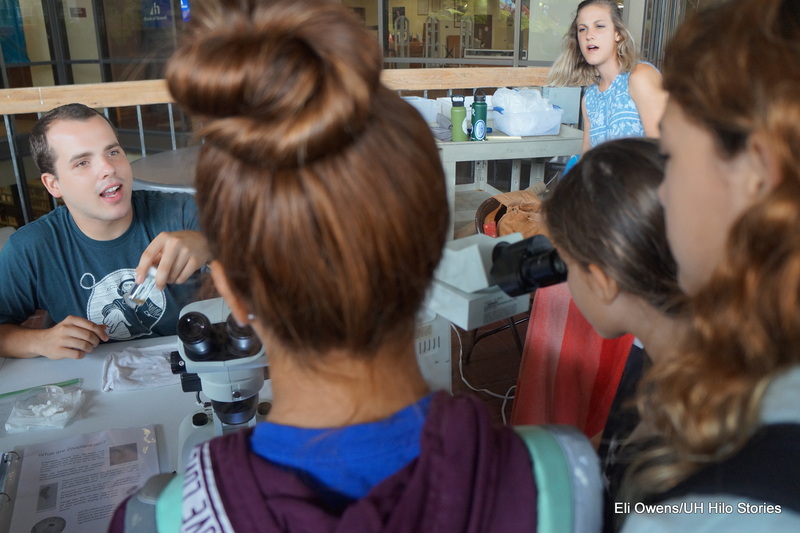 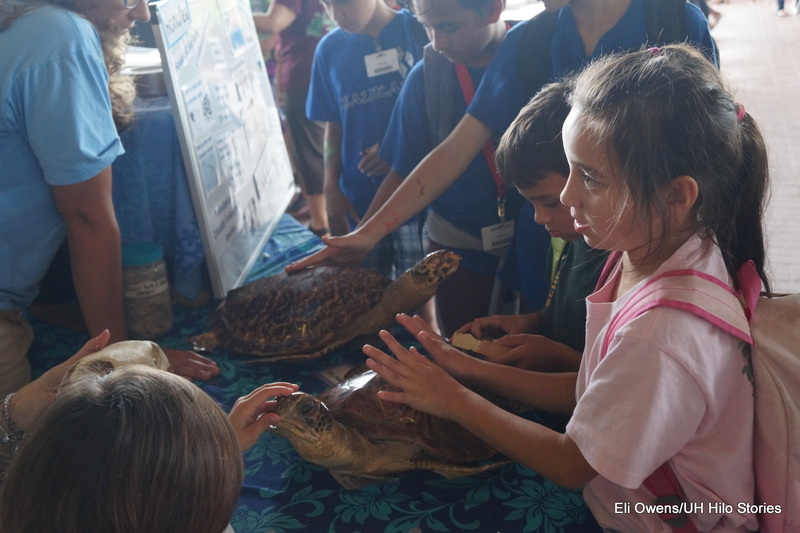 Future biologists learns about endangered sea turtles. 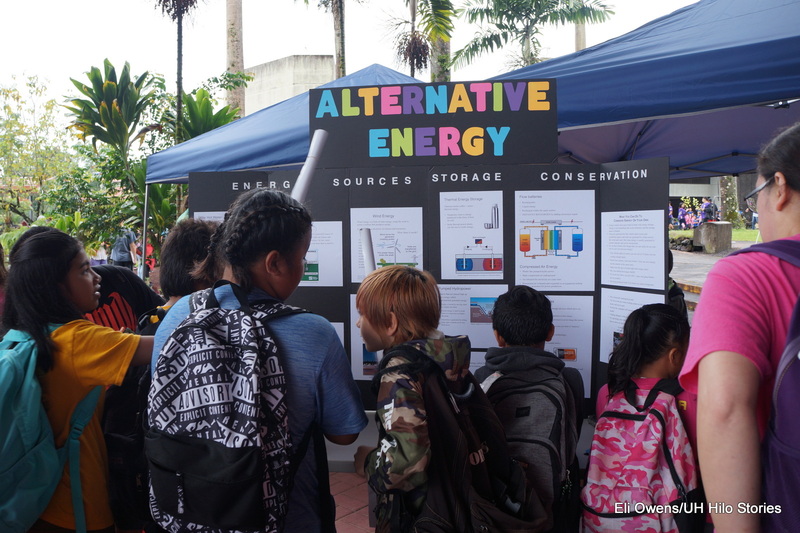 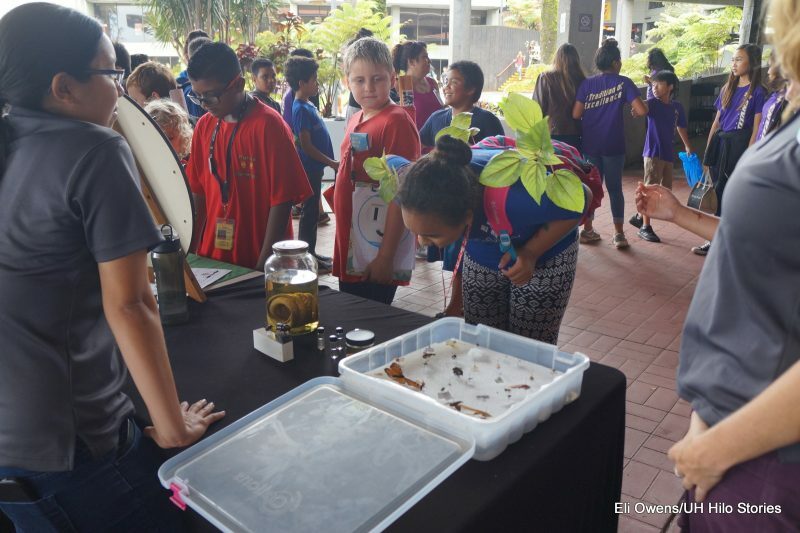 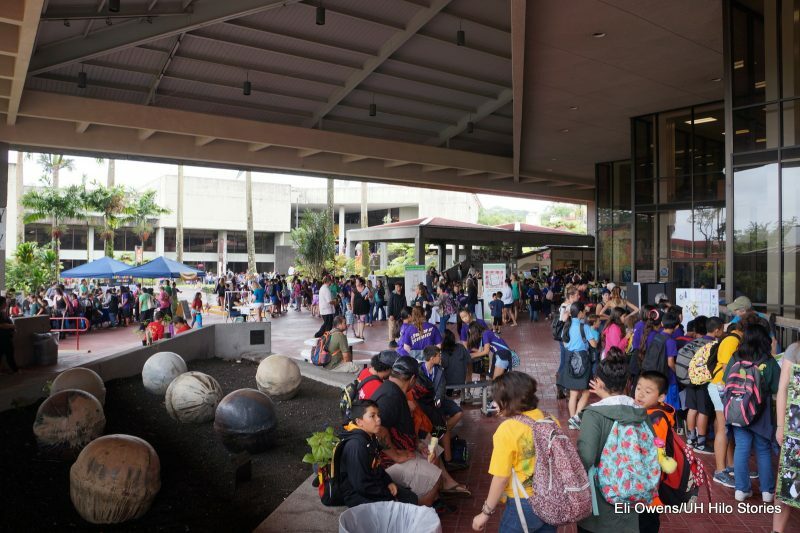 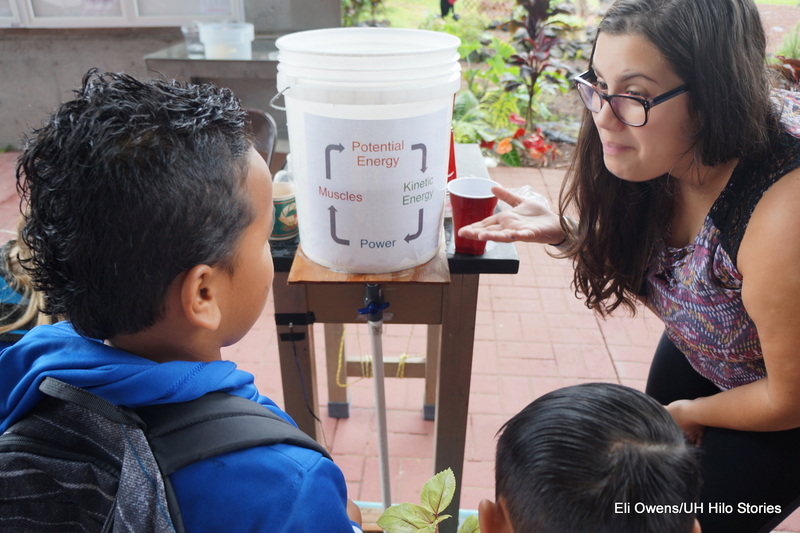 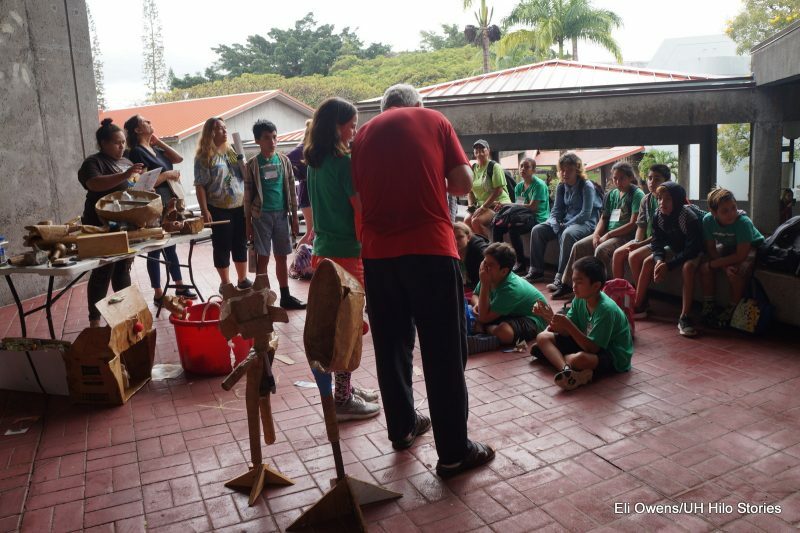 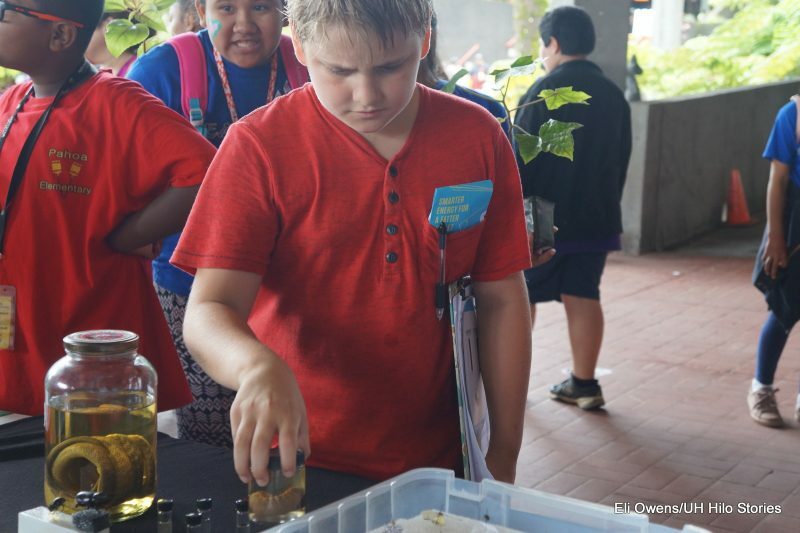 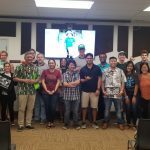 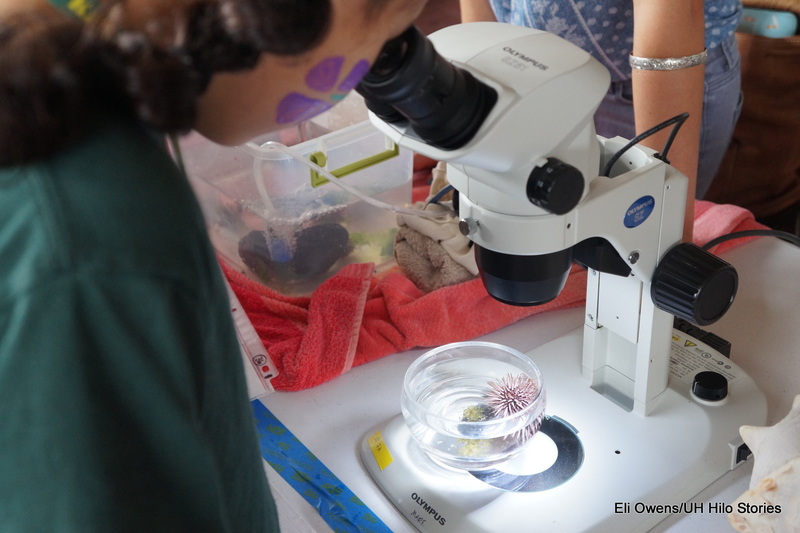 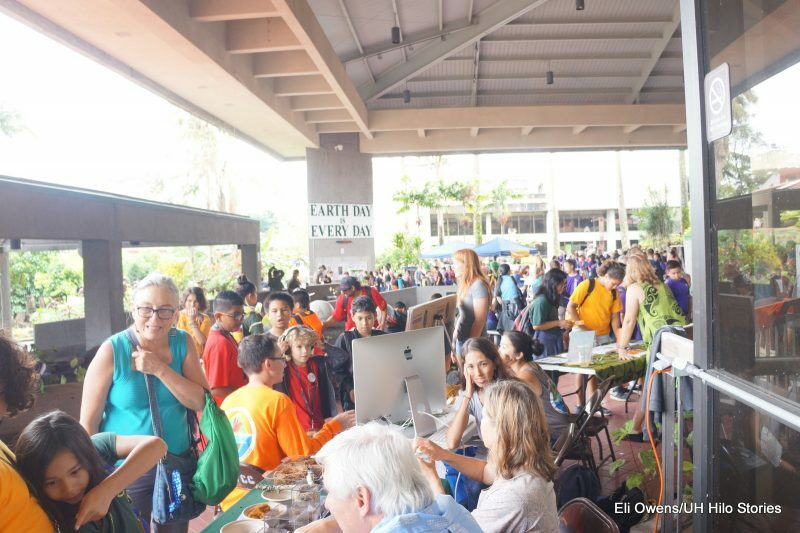 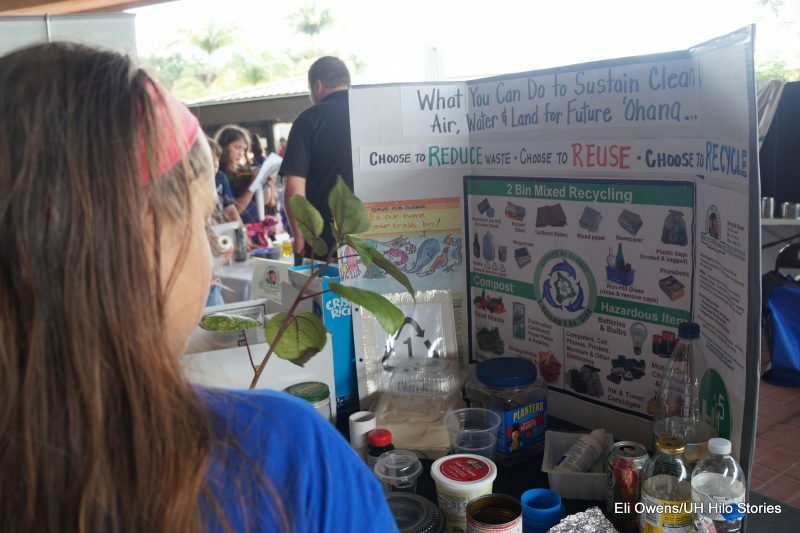 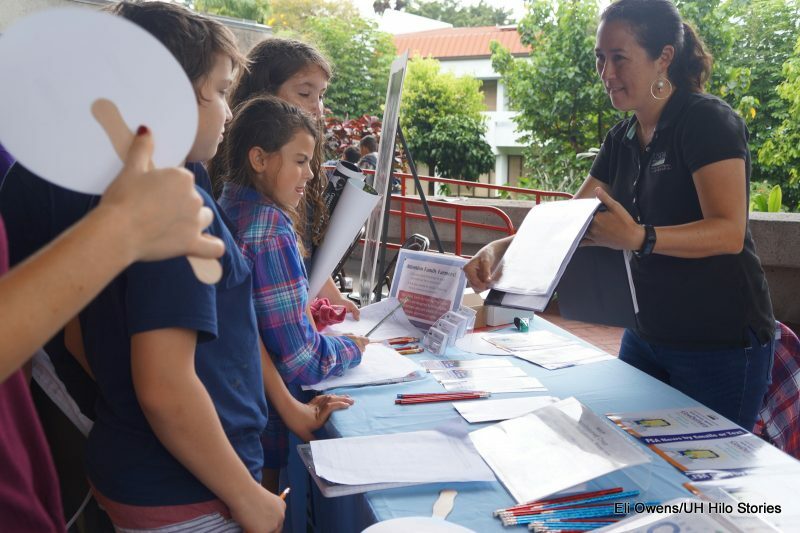 The 6th annual Conservation Career Day was held at the University of Hawai‘i at Hilo last Friday in collaboration with the Earth Day Fair. 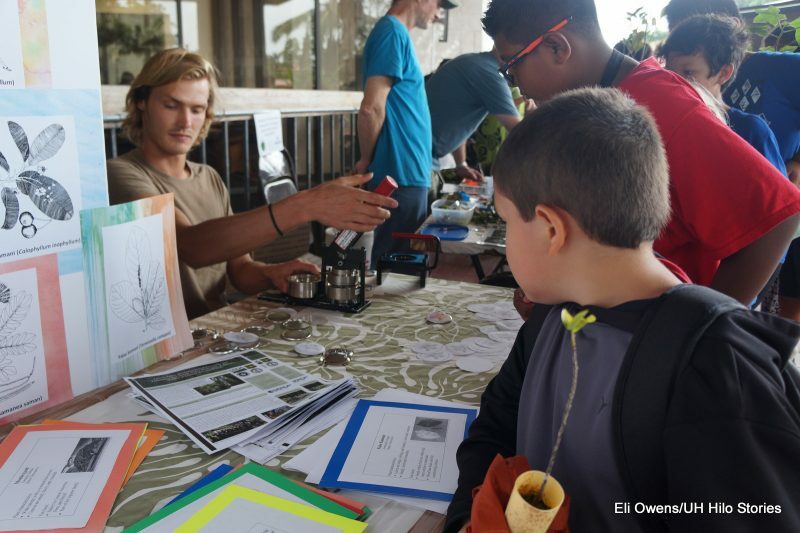 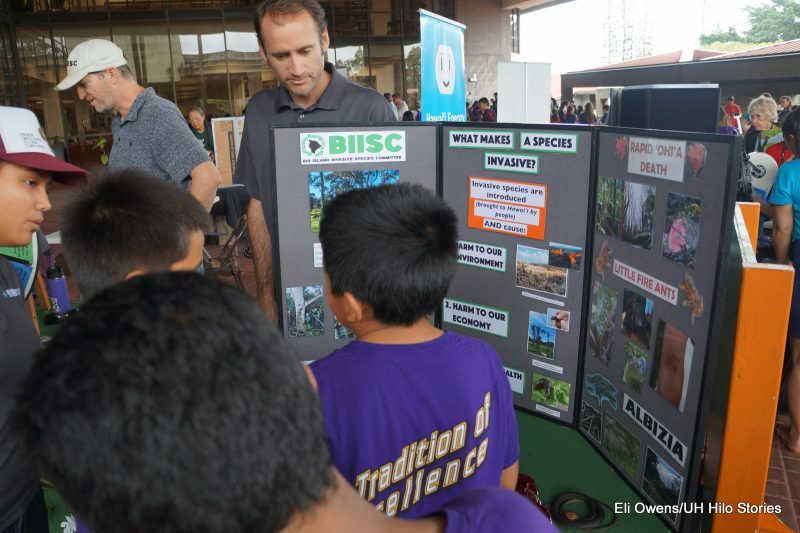 The career event was full of exhibits, displays and hands-on activities led by Hawai‘i Community College and UH Hilo professors and instructors and other local scientists and agencies in the field of natural resource management, all with the goal to inspire local schoolchildren to become environmental stewards and to pursue careers in natural resource management. 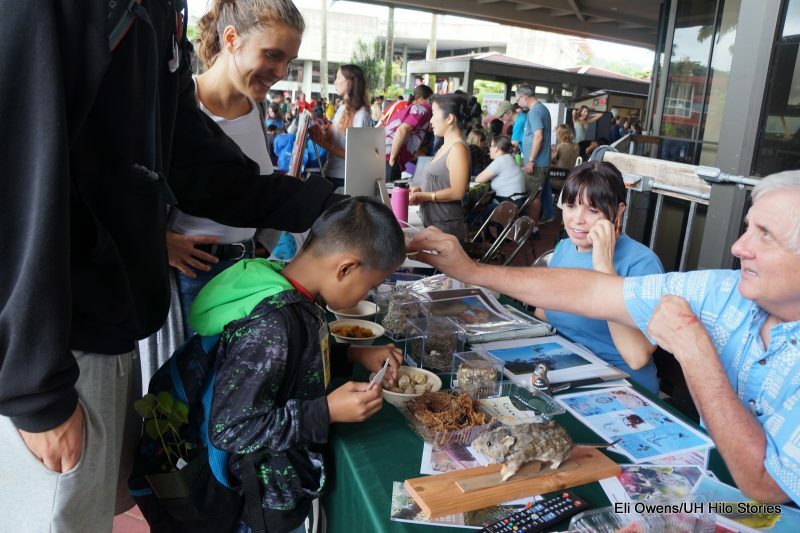 The event was chock-full of fun interactive displays about conservation and preservation activity on Hawai‘i island and showcased local employment opportunities. 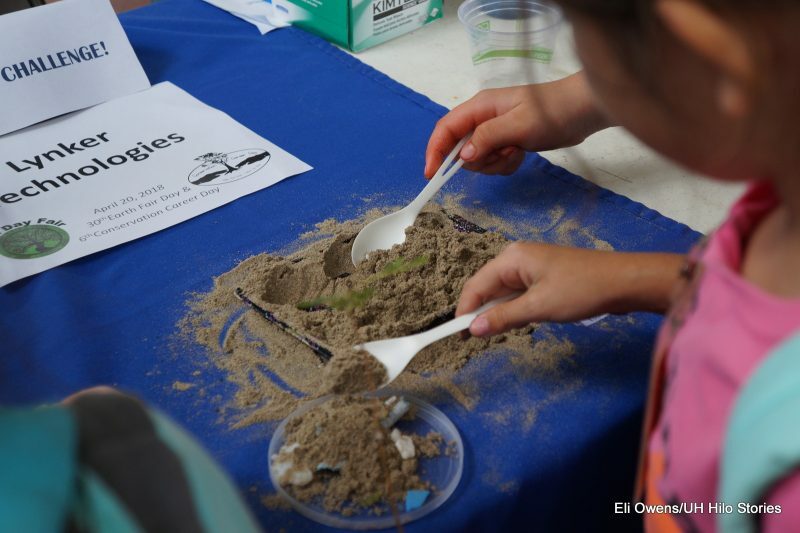 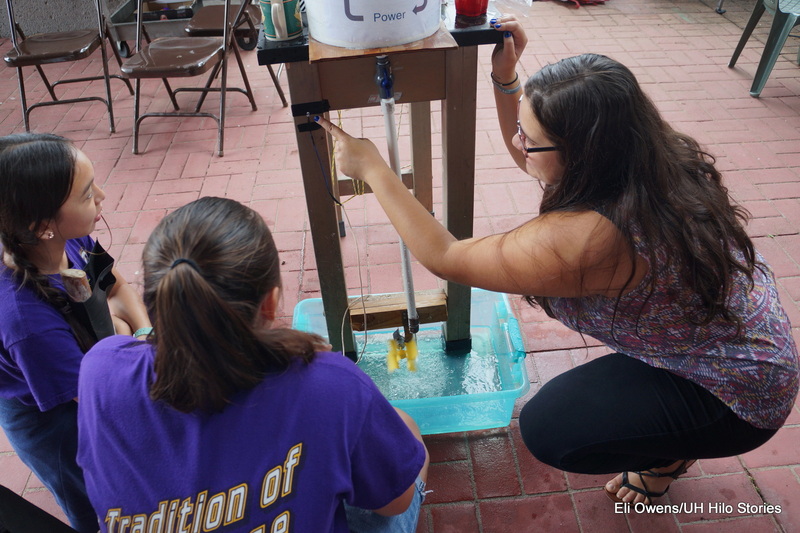 Photos by Elijah Owens, click to enlarge. 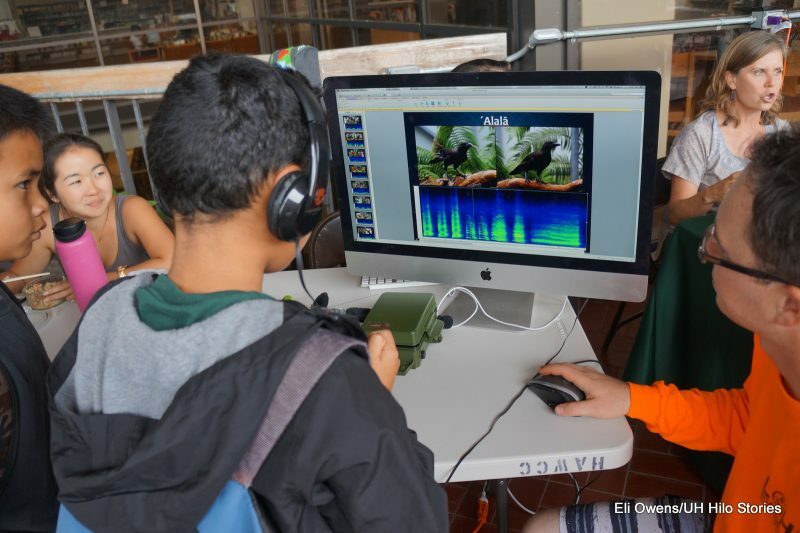 Future conservation scientist listens to audio of the Hawaiian crow. 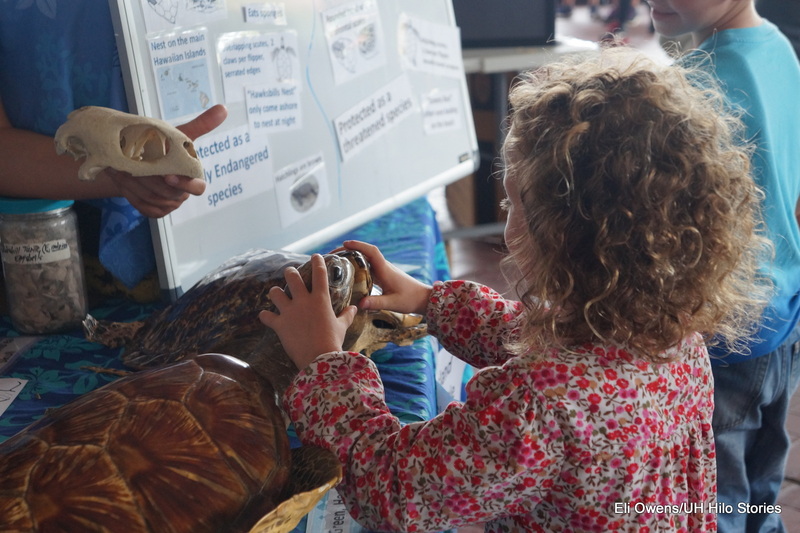 Future biologist learns about endangered sea turtles.